We have all heard a million times how important exercise is for us but most of the time we would rather do just about anything else. Unfortunately, missing that one day can be a slippery slope and it may be difficult to get back on track. A great way to bypass this struggle is to find a workout partner. These people can come in many shapes and sizes but finding a buddy has been proven to result in an increase in attendance and adherence. Having an exercise partner works two ways as well. While you and your partner push each other, you also hold each other accountable and provide motivation for one another. Some partners can even push each other to new heights with a little friendly competition. That being said, not all partners are created equal and finding the right one can be a challenge. When considering who can or cannot be your partner it is wise to compare your goals to theirs, your individual levels of fitness and whether they will be a true partner or a distraction. 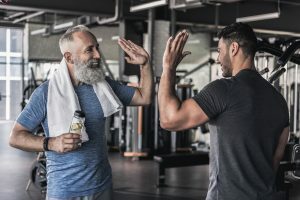 The best of partners tend to have an emotional connection with each other and a study published in Psychology of Sport and Exercise found that the exercise habits of people you know have a positive influence on your exercise habits. Partners can be your friends/colleagues, a group or a trainer. Friends/colleagues work best for those who find it hard to get to the gym on their own. This dynamic works best when goals and fitness levels are fairly close. Sometimes, it can work when the fitness levels are different so long as the higher skilled partner can help the newer one while focusing on their own progression. The group setting is best for those who like to combine exercise and social time. Group classes are a great way to meet new people with fitness-minded goals. Lastly, working one-on-one with an Exercise Physiologist takes a load of the pressure off you. EP’s are able to motivate and support you, all the while developing a program that best benefits you. Whether you are experienced and struggling to get to the gym or a newcomer seeking some guidance, having an exercise physiologist to work with you can help you reach your goals. After periods of intense training, the best performances in strength or endurance sports usually occur following an appropriate taper phase. A taper is a progressive and non-linear reduction of a workload during training for a period of time prior to competition. In other words, after weeks of routine training workouts, where the intensity or volume is strategically increased for a period of time, there is a large reduction in the training load in the week or two before a competition or event. This tapering technique is designed to avoid injury, overtraining, psychological stressors and/or extreme fatigue prior to the event in order to achieve maximal performance. There are multiple facets as to why a pre-event taper is vital to achieving the best performance possible. Changes in the cardiovascular system include an increase in maximal oxygen uptake (measurement of endurance), and possible hematological changes including increased blood volume, hemoglobin (oxygen carrier within the blood), hematocrit (volume of red blood cells within the blood), reticulocytes (indicator of bone marrow activity), as well as, a reduced red cell distribution width. Tapering also causes positive metabolic changes as well. These changes include a reduced daily energy expenditure, reduced respiratory exchange ratio (recruiting fat more efficiently for fuel) and an increased peak blood lactate concentration (greater exertion and higher threshold for work performance). Lastly, muscle glycogen concentrations increase and calcium retention mechanisms are triggered during a taper, allowing for optimal muscle contractions and a greater stored energy within the muscles (2). According to a research study completed in 2014 at the Laboratory of Sport, Expertise and Performance, the most efficient taper strategy for maximizing performance gains was to perform a 2-week taper with an exponential reduction in training volume by 41%-60% without any modification of either training intensity or frequency (1). In other words, reducing load or speed and reducing the amount of exercise sessions per week were found less effective than reducing the volume of each workout. For example, a reduction in volume could be performing 1 set of an exercise when you normally do 2 or 3 sets. Another important finding of this study is that a period of overtraining prior to initiating a taper has been found to be even more effective than just a tapering phase itself. However, the degree of overtraining prior to the taper is crucial because too much performance supercompensation can lead to worsening performance. When working with a coach, whether it is for running, strength training, or general sports conditioning, be sure to discuss the appropriate taper period for you. 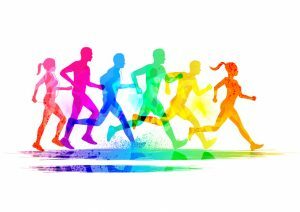 Programming a reduction in the volume of exercise may be beneficial to your performance in your race, game, or competition. Aubry, Anaël, et al. “Functional overreaching: the key to peak performance during the taper.” Med Sci Sports Exerc46.9 (2014): 1769-1777. Mujika, Inigo, et al. “Physiological changes associated with the pre-event taper in athletes.” Sports Medicine34.13 (2004): 891-927. Although exercise has many benefits, a high amount of stress on the body can trigger negative events that one should look out for. It is of vital importance to understand the signs and symptoms of cardiac events, such as the occurrence of a stroke. Strokes occur when a blood vessel that is connected to the brain becomes extremely blocked from plaque build-up, causing a lack of oxygenated, nutrient-filled blood being delivered to the brain. Stroke is the fourth leading cause of death in America today and can also cause long term changes leading to disability or lack of mobility/neuro-motor functioning. This type of cardiac event can happen at any age but generally affects those ages 55 and older, and as we age our risk of having a stroke become greater. Of all populations men, African Americans, and people with diabetes or heart disease are at the highest risk. Some of the warning signs of having a stroke include sudden weakness of the face, arms or legs (especially on one side), sudden confusion or inability to speak, lack of vision, dizziness or coordination problems, and a sudden, severe headache. If you have any of these signs, stop exercise immediately and get to the hospital or call 9-1-1. The major goal of exercise after a stroke should be to improve the overall quality of life for the victim. In addition to improving measures of quality of life, other measures such as functional capacity and mobility (i.e. increasing gait velocity), neurological impairment, and motor function (i.e. lowering the energy cost of a hemiparetic gait), will also benefit from regular exercise. The three major rehabilitation goals for the stroke patient are preventing complications of prolonged inactivity, decreasing recurrent stroke and cardiovascular events, and increasing aerobic fitness. Before beginning an exercise program, the two most important things to consider are if the benefit outweighs the risk, as well as, the severity of the stroke. A stroke victim should be evaluated by a medical professional before initiating a program—performing strength and aerobic training can lead to serious musculoskeletal injury. To prevent muscle deterioration from prolonged inactivity, performing exercises that mimic movements of everyday life activities (i.e. standing from a seated position, squatting down, walking, reaching overhead) should performed regularly. Moreover, moving the entire body throughout its full range of motion should also be considered. In terms of aerobic fitness, stroke patients have been shown to achieve significantly lower maximal workloads and heart rate and blood pressure responses than control subjects during progressive exercise testing to volitional fatigue. Setting reasonable goals to return to pre-stroke fitness levels as opposed to above baseline levels should be aimed for. Exercising will be significantly harder post-stroke, but is of vital importance for the individual in order to improve their quality of life. Gordon, Neil F., et al. “Physical Activity and Exercise Recommendations for Stroke Survivors.”Circulation, American Heart Association, Inc., 27 Apr. 2004, circ.ahajournals.org/content/109/16/2031. Strength and conditioning and physical therapy go hand-in-hand in the rehabilitation process, but they are often seen as separate or opposing entities. Physical therapy helps individuals to recover from injuries, surgeries, impairments with the use of manual therapy (massage, myofascial release, joint traction etc. ), electrotherapy (used for pain relief and passive muscle activation), and the implementation of an exercise program (depending on the severity of the injury/impairment). Most patients enjoy the benefits of the manual therapy and hands-on treatment from the therapist and feel better after relaxing with ice and electric stimulation. However, building the strength required to return to daily activities and beyond comes from performing resistance exercises with periodical progression. Injuries, surgeries, and diseases leave us weakened and/or physiologically imbalanced. The initial focus following a diagnosis is to alleviate the impairment, enhance tissue repair, and improvement of range of motion. When appropriate, basic therapy exercises can be progressed by adding resistance to increase overall strength and correct imbalances. Both physical therapy for injured or orthopedically limited population and strength training for healthy individuals use the same principle of progressive overload to achieve the common goal of strength improvement. Outside of the physical therapy office, individuals should continue to follow a resistance training program to continue the recovery process and make improvement even beyond where they were pre-injury. Although it is important to isolate a single muscle or muscle group during the recovery process, total body and bilateral exercises should be performed to prevent further imbalances and to improve overall fitness. Building strength in the muscles surrounding a joint can lead to less pain in joints during certain activities. 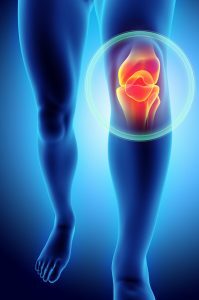 Strengthening opposing areas of the body and learning better techniques/ movement patterns can lead to better habits that will aid in future injury prevention. As we age, our bodies start to change, our priorities shift, and things start to hurt that never did before. Old adults often experience difficulty walking for distances, climbing stairs, or carrying groceries. These changes are largely due to muscle loss which mainly results from inactivity. 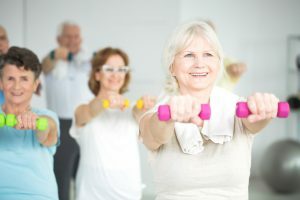 In order to help us stay strong and vital during older adulthood, we need to participate in regular strengthening exercises, which can help prevent osteoporosis and frailty by stimulating the growth of muscle and bone. Feeling physically strong also promotes mental and emotional health. Strength training exercises are easy to learn and are safe and effective for the older population. Strength training helps you maintain bone density, improve balance and coordination, reduce risk of falling, and maintain independence. When starting an exercise routine, always consult your doctor first. It may be beneficial to work one-on-one with an experienced fitness professional to ensure you are performing appropriate exercises or if you have any orthopedic concerns. If starting on your own, start by focusing on exercises which utilize your own body weight, and learning the proper form. By doing so, you will build a base level of strength before adding extra challenges (i.e. resistance bands or dumbbells) into the mix. Arthritis—Reduces pain and stiffness, and increases strength and flexibility. Osteoporosis—Builds bone density and reduces risk for falls. As always, we recommend that you please consult with your doctor before beginning any exercise program.